What are the points of convergence between Research Data Services, Records and Archives in processing and curation workflows of Digital Research Data? 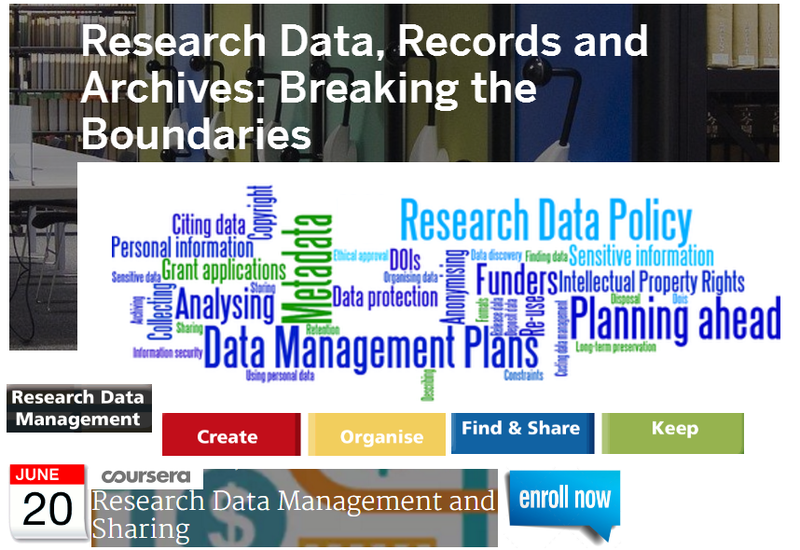 This issue is the focus of the RDA Archives and Records Professionals for Research Data IG and was the main theme of the recent Research Data, Records and Archives: Breaking the Boundaries workshop. “Data often have a longer lifespan than the research project that creates them. Researchers may continue to work on data after funding has ceased, follow-up projects may analyze or add to the data, and data may be re-used by other researchers. 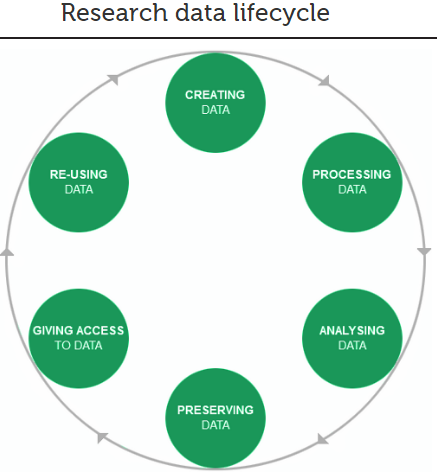 Well organized, well documented, preserved and shared data are invaluable to advance scientific inquiry and to increase opportunities for learning and innovation” (UK Data Service, Research Data Lifecycle). (Source: UK Data Service, Research Data Lifecycle). Research Data, Records and Archives are three pillars supporting some exploratory work regarding the areas where processing/curation workflows can be converged and diverged. These three areas could also lead to new prospects of cooperation focused on challenges of managing research data in relation to records management and archives. What are key points for preservation/sustainability of the documents containing data? What legislative funding is attached to it? How can/should we provide and mediate/ensure appropriate access to it? Research data management challenges include capturing current research data (which can range from mineral specimens and laboratory books to databases and other born-digital content), managing and re-using legacy research data, funding, academic engagement and improving practices, comprised also archives practices focused on what to keep. Research data are related to different record models. For example, the record lifecycle versus the record continuum, which looks at how records have multiple uses at different times, and do not serve one purpose at one time. In terms of managing research data we also need to look at archival processes in terms of selection and appraisal. Do we have appropriate methodology that deals with large data sets (big data), particularly in terms of digital records? It’s also interesting to look at areas such as ownership of research data (ethics, legislation, IPR: Intellectual property rights) – which department, library, etc. does it fall under? association of research data with archives – for example archival/library collections can include research data, so research data will actually become archives and will be permanently preserved. ​lack of communication between the two professions of archivists and research data management. During the “Research Data, Records and Archives Workshop” (hosted by the by Edinburgh University Library and the Digital Curation Centre) it was noted that archivists can help with provenance and metadata to contribute to research and knowledge exchange (also reusing historical data) as well as to archiving research data. 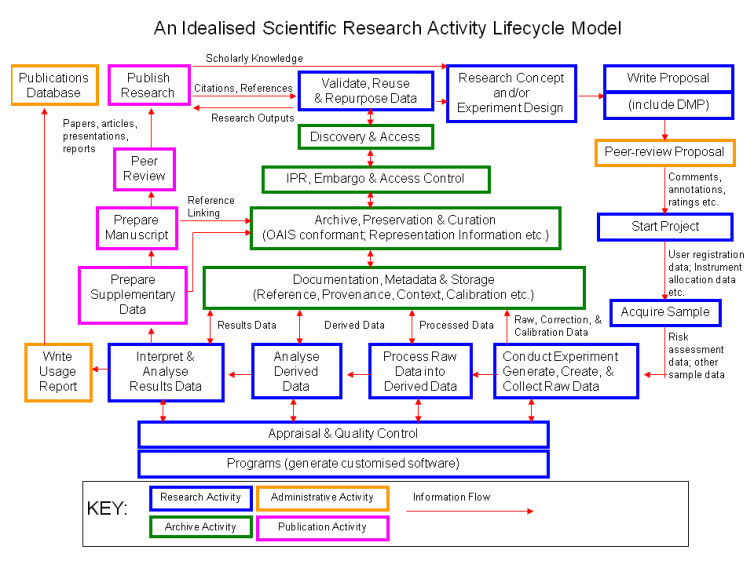 The overarching challenge of managing research data in relation to records management and archives can only be solved by working across the disciplines and by looking at the contextual value of holding both research data and the associated records or archives, user needs and at the interventions in the research lifecycle needed to preserve the whole output appropriately. Did you know that also RDA (Research Data Alliance) is engaged with archives and records management community? The objective the RDA IG Archives and Records Professionals for Research Data group is to explore the areas where the principles and practices in the information disciplines of archives, records management, and research data curation overlap and where they diverge. Any interested RDA members (not only archivists and records professionals) is encouraged to join this group. You can also influence the Agenda for Archives and Records Professionals for Research Data 8 Plenary session in Denver, that will take place during the International Data Week (September 11-17, 2016). The MOOC Coursera provides short, video-based lessons and assessments across a five-week period (learners can also proceed at their own pace) about the Research Data Management and Sharing. Although no formal credit is assigned for the MOOC, Statements of Accomplishment will be available to any learner who completes a course for a small fee. The Research Data Management and Sharing MOOC is launched 1st March, 2016 and is opened to Enrollment. The course starts June 20. A preview of one of the supplementary videos is now available on Youtube. The Research Data Management and Sharing MOOC (Coursera). Enroll Now. Starts June 20.